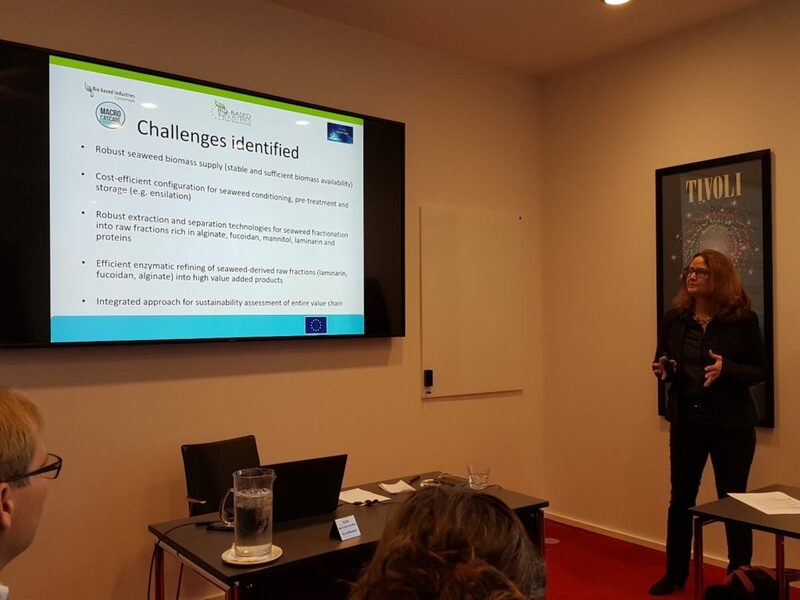 Prof. Anne-Belinda Bjerre, MACRO CASCADE co-ordinator, at the Kick-off meeting held in Copenhagen on November 8, 2016. 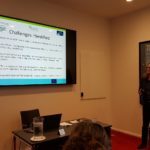 A consortium of European companies and research institutions has received €4,2 million in grant funding to evaluate the viability, and bioeconomic impact of processing cultivated seaweed to create a diverse range of high-value products: a potentially new and significant sustainable industry. “We believe that seaweed can be processed into value-added products such as health-promoting feed and food supplements, with a documented effect on the immune system of both animals and humans; prebiotic and antibiotic agents; anionic polymers; and chemicals for paints, cosmetics and detergents,” says Project coordinator Professor Anne-Belinda Bjerre, Danish Technological Institute. The Bio-Based Industries Joint Undertaking (BBI JU) awarded the MACRO CASCADE project the funding under the European Union’s Horizon 2020 research and innovation programme, primarily to Prove the concept of the cascading marine macroalgal biorefinery. If proven, this refining process would use cultivated seaweed to create products for a wide range of industries including the food, feed, cosmetics, pharmaceutical, and chemical sectors. Waste Products could be used as fertilisers or biofuels. The four-year project was launched in October 2016 and brings together specialists from across the whole seaweed process chain, from cultivation up to product testing. The main objective is to establish and evaluate macroalgal biorefining on a laboratory, pilot, and conceptual scale for feasibility, bioeconomic impact, and sustainable full use of the biomass. The consortium comprises 13 partners from seven European countries. These include leading industry organisations Novozymes, Denmark, and Cargill, Belgium; pioneering seaweed cultivation companies Ocean Rainforest, Faroe Islands, and Hortimare, Norway; innovative protein feed producer Fermentation Experts in Denmark; and established Dutch research organisations such as The Energy Research Centre of the Netherlands (ECN), and Wageningen Research. 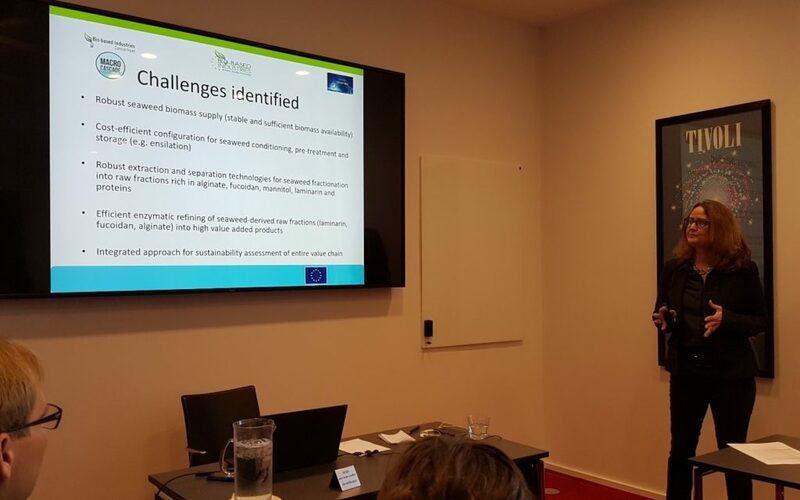 The Danish Technological University; Matis in Iceland, and Lund University in Sweden, as well as Environmental service SME eCoast and Silkeborg Hospital are also participating as project partners. During 2017 the project will engage with relevant stakeholder groups for knowledge exchange beyond the project consortium, and the first results of the innovative food and feed applications are expected in 2018.